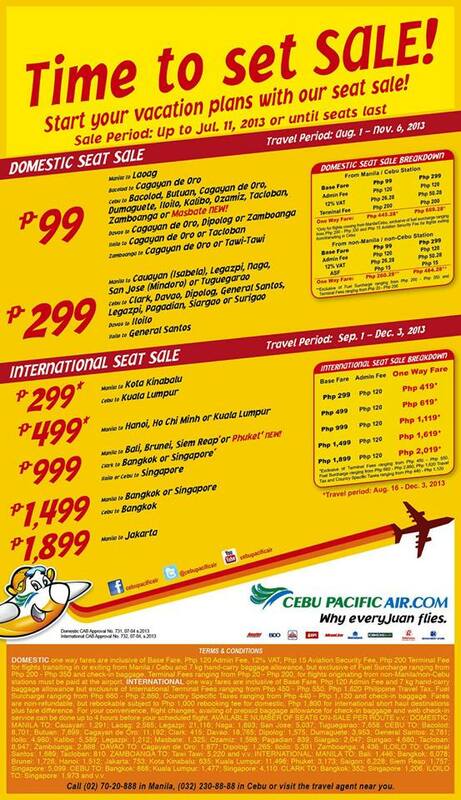 Cebu Pacific Promo: Time to Set SALE! LIKE US ON FACEBOOK FOR MORE PROMO UPDATES! Start your vacation plans with our Seat Sale! Our latest sale is now up. Don't forget to log on to www.cebupacificair.comto book your next flight! See you on-board soon!